Our integration with Sage Accounts is second to none as we offer true integration, not a simplistic CSV import prone to errors. Accurate accounting has been the major focus of our DMS from day one. All the shiny new features in the world are no good if your accounts aren't up to scratch. Our award-winning integration with Sage50C has been ‘fine-tuned’ over the last twenty years to work seamlessly, allowing transactions to flow from the DMS, directly into your accounts package. Not only does this save a huge amount of time but our expert Support Team are here to help you, or your accountant, through any questions or queries relating to the complexities of motor trade accounting. Sage50C also has full Making Tax Digital (MTD) submission capabilities, ensuring our customers can meet their legal requirements. DragonDMS takes care of your Margin VAT calculation and posts these amounts through into Sage50C. It will keep Margin VAT due separate from full VAT from the sale of qualifiers, commercials or normal vatable transactions from the Service or Parts departments. Unfortunately, there are a number of other accounting products available that do not allow us to integrate the Margin VAT amounts separately and for that reason, we only integrate with Sage50C. Out of the box, DragonDMS can create a complete default set of nominal codes to create your chart of accounts, so if you are new to DragonDMS and Sage50C, we can populate Sage50C with our default set of accounts, which simply means, out of the box ‘it works’. Don’t worry, if you have your own Chart of Accounts with your own set of nominal codes, our experienced support team will guide you and show you how to edit your nominal codes to suit your requirements. All of our support team understand not just DragonDMS, but every detail of how our integration into Sage50C works and Sage50C itself. We are able to assist you, your bookkeepers and your accountants to make sure you are fully on top of your accounts, your VAT returns, and your Making Tax Digital requirements. Unlike many of our competitors, we offer a true integration, not just a CSV file data export and as such we can reverse transactions from Sage, in instances where a sale is cancelled or an invoice printed in error. Customer deposits are also posted in Sage (with any resulting VAT due being declared) and reversed if required and every transaction has a full audit trail in both DragonDMS and in Sage50C. Many of our rival software companies take the easy option and offer a simple CSV data export, and then claim that they integrate with all accounts packages. Let us be clear a CSV export is not an integration, it is just a data file that you have to manually import into your accounts program and match up the entries. There is no error correction or checks, which means that mistakes can be costly. Lots of time can be spent unravelling mistakes and reversing out entries. Of course, this also means that you cannot automatically reverse a transaction or return a deposit or credit an invoice if there is a mistake. All of these features are standard features of true integration with an accounts package, but sadly not available with a CSV export. This is why we integrate only with Sage50C. Products like Xero, Quickbooks etc., whilst we do keep an eye on the development of these products, unfortunately, they do not allow the sophistication detailed above and therefore, for now, we do not recommend these accounting products to our customers and we do not offer integration or CSV export into them either. Sage is an established accounting product and is widely known and used by accountants. 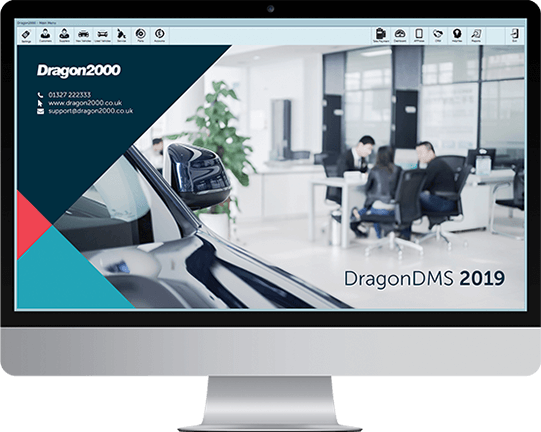 We support a true software integration into this product that allows the seamless transfer of data from DragonDMS into the accounts package. We also offer integrations with credit card terminals through Paymentsense. If used, card payments can also be passed straight through into Sage50C drastically cutting down on the amount of manual bookkeeping required to reconcile customer accounts with payments. DragonDMS offers a true integration with Sage50C, in turn, Sage50C has a MTD submission portal that allows customers to meet their Legal requirements with Making Tax Digital.